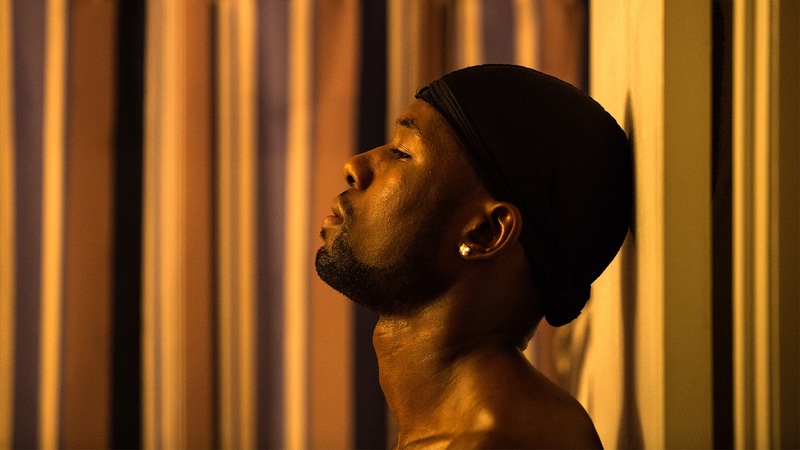 The out-of-nowhere Oscar frontrunner of the year is Moonlight, a shockingly blunt film that focuses on poverty, minority, homosexuality, and the inability to find yourself in a world that holds opportunities back like punishments. With high praise from audiences and critics alike, this film will find itself in the Best Picture category with ease, although its unorthodox style and subject matter may keep it as a laudable anomaly rather than an award-winning feature. 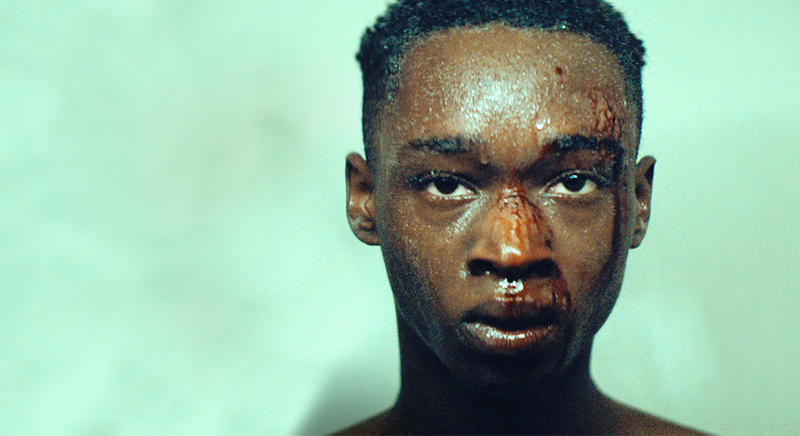 But putting possible prizes aside, and acknowledging that top ratings weren’t the point or the goal of this story, Moonlight is a fine film standing all on its own, needing none of the fanfare it has received to be a stunning bit of cinema, something with both purpose and the ability to deliver, wrapped up in a single, poignant package. We follow the difficult life of one Miami boy living in the projects with his drug-addled mother as he weaves his way through the process of growing up, never knowing where to turn for comfort when the world beats him down. Known as Little early in his life, the boy struggles fitting in, isn’t as hard as his classmates, doesn’t speak up for himself, calls Kevin his only friend, and emulates a kind dealer named Juan as a form of father figure. Older now and going by his given name of Chiron, the boy assumes that he is gay, is harassed by his classmates, can’t keep his mom away from her addiction, and has no idea what kind of man he might turn out to be. And lastly, claiming the nickname Black given to him by Kevin before the two moved apart, the young man has become street tough in a way he never expected, burying his true self deep down in a place that is almost completely hidden beneath both denial and rage. 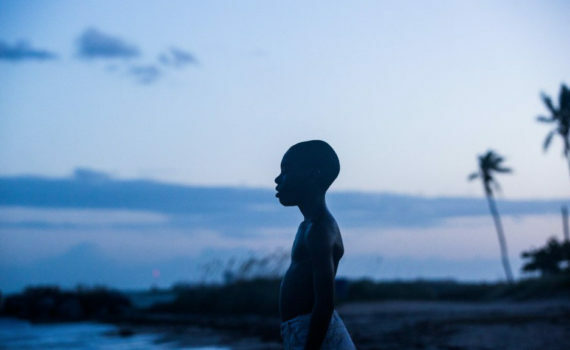 This year’s Boyhood, in a certain way and from a different perspective, Moonlight is not only strong enough to be compared to that brilliant film, but is also original enough to be considered a small ball of genius that we never saw flying our way. There is enough depth here to drown in, and sorrow to, with a hint of hope to keep us believing that even the roughest stories don’t always end in tragedy and defeat. This is a snapshot of the lives of so many; the poor, the displaced, the downtrodden, the different, the scared, the small, the lonely. It’s a powerful story that follows one character almost too closely, taking his tale to an uncomfortable point, forcing us to understand another life in a way we normally avoid. That’s the magic of Moonlight, its ability to expose us to something we didn’t ask for but will always appreciate. The highlight of the movie in my eyes was Kevin, in all three ages. Little/Chiron/Black was almost the maypole of the film, with colorful characters and pandemic events swirling around him, as he remained silent and mostly indecisive. It was Kevin who brought light to the story, who spoke to us, and who ultimately became the catalyst to action. Not to mention that Andre Holland was incredible as the eldest Kevin, that I think he should (but might not) gain a ton of consideration for a Best Supporting Oscar. His part was comparatively small, and so perhaps that alone will exclude him from conversation, but he definitely deserves some acknowledgment for pulling off a complicated role in a very short amount of screen time. Taking the story as the foundation, Chiron as the frame, and Kevin as the fashion, the film unites as one, unbreakable, undeniable piece of cinema, one of the best of 2016 without a doubt.